Tritomite-(Ce): Mineral information, data and localities. From Greek τρί (tri), threefold and τομος (tomos), a cut, because the crystal shows a three-sided cross sections (Weibye 1850). 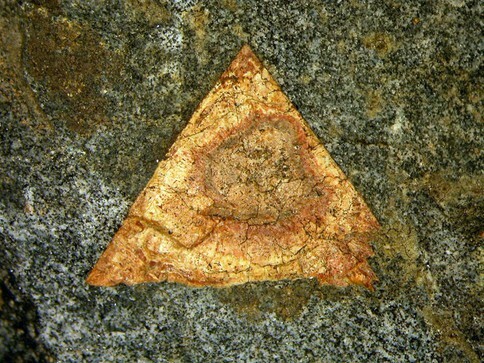 It was later renamed as tritomite-(Ce), with a suffix, -(Ce), in according to the "Levinson modifiers" indicating cerium being the dominant rare-earth element. A mineral in the Britholite Group of the Apatite Supergroup (Pasero et al. 2010). A borosilicate whith REEs strongly prevalent over Ca in the M sites for stoichiometric reason (Pasero et al. 2010). First discovered in 1849 by Paul Christian Weibye (1819-1865) on Låven, Langesundsfjorden, Norway and described in a paper the following year (Weibye 1850). The first chemical analysis gave mainly a silicate of cerium and lanthanum. Later Engström (1877) showed it to be a borosilicate. The mineral is metamict amorphous. Recrystallization by heating at 600°-1000° in air or under water gives an XRD pattern of an apatite structure phase and CeO2 phase or a combination of both (Neumann et al. 1957, Neumann 1985). The relationship of tritomite-(Ce) to caryocerite and melanocerite-(Ce) another minerals described from the Langesundsfjord, Norway, has been much discussed. Caryocerite is now considered as a Th-bearing variety of melanocerite-(Ce). Melanocerite-(Ce) has recently been suggested to be to be potentially discredited, once its identity with tritomite-(Ce) is ascertained (Pasero et al. (2010). It has also been suggested that it is probable that both tritomite-(Ce) and melanocerite-(Ce) have a common crystalline precursor, a boron-rich apatite group mineral (sensu lato) with considerable substitution within the general formula A5C3O12X, where A is (Ca, Na, REE, Th); C is (P, Si, B, C), and X is (F, OH, O). A complicating factor for present day identification is the degree and extent of metamictization, during which elemental leaching and replacement have taken place (Larsen 1996). Bastnäsite-(Ce) 2 photos of Tritomite-(Ce) associated with Bastnäsite-(Ce) on mindat.org. Nepheline 2 photos of Tritomite-(Ce) associated with Nepheline on mindat.org. Astrophyllite 1 photo of Tritomite-(Ce) associated with Astrophyllite on mindat.org. American Mineralogist (1962): 47: 9-25. 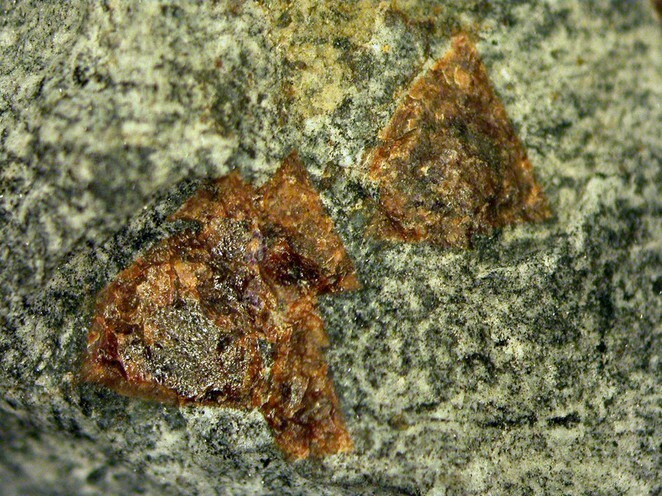 Raade, G. (1996) Minerals originally described from Norway. Including notes on type material. Norsk Bergverksmuseum Skrift: 11: 104 pp. + plates 1-7. Svein A. Berge collection/observation 1991. Andersen, T., Erambert, M., Larsen, A. O. and Selbekk, R. S. (2010): Petrology of nepheline syenite pegmatites in the Oslo Rift, Norway: Zirconium silicate mineral assemblages as indicators of alkalinity and volatile fugacity in mildly agpaitic magma. 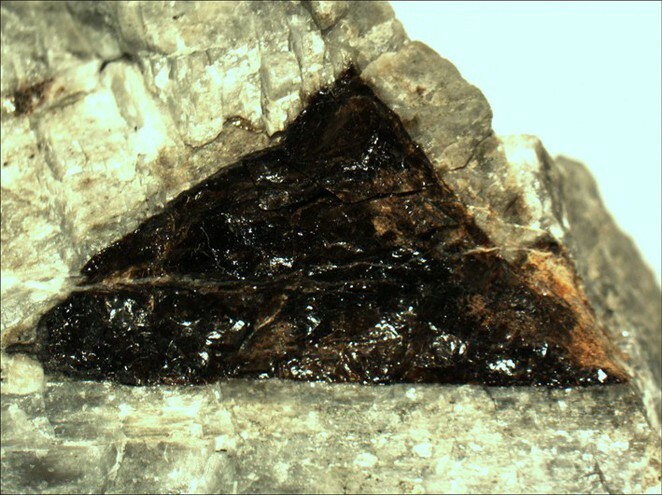 J. Petrology 51, 2303-2325.